Currencies maintained relatively small ranges here in Asia today with the major focus on the Reserve Bank of Australia monetary policy meeting for March. The Bank kept the cash rate on hold for the 31st month in a row. In the accompanying statement, Governor Lowe was a little more positive than he has been. He does tend to be a bit that way though, despite the run of data we have been getting. Next up from the RBA is a speech at 2210GMT on Tuesday 5 March (which is just after 9 am Sydney time Wednesday) which will be followed by Q4 GDP data at 0030GMT on 6 March. Prior to the RBA announcement we had more 'partial' data for the GDP release tomorrow disappointing exports but strong government spending. Also today was a disappointment on the private survey China February services PMI (see bullets above). The Australian dollar lost a little ground on the session here, from highs above 0.760 to lows below 0.7070 for a lacklustre range on such an active data day. 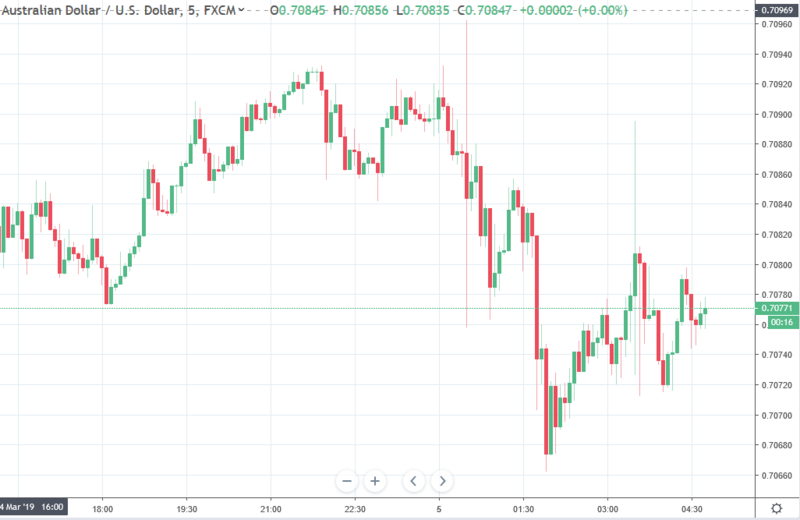 NZD/USD has been a loser, down from highs circa 0.6825 to under 0.6790 briefly.It is not the only currency to lose ground against the US dollar on the session here. EUR, GBP, CAD, CHF, yen are all down against the USD to varying extents. Announcements from China today with the National People's Congress (NPC) underway. Of most note were more stimulus comments, deleveraging more or less on hold for now, tax cuts and efforts to allow the yuan more flexibility and to be held stable (seemingly contradictory goals, but this is China, right?). And, of course, the GDP target for the year, set between 6 and 6.5%.